The 2018 Range Rover Velar is not just a pretty face! This gorgeous and luxurious SUV is also performance-filled. That means you get all the luxury you want for your daily drives but the power and performance that you need when conditions become challenging. The Range Rover Velar offers a choice of efficient 4-cylinder and powerful V6 engines for you to choose from. No matter which you choose, you can be assured of an efficient and powerful ride. For example, the 2.0L Turbocharged 4-Cylinder engine provides 247 hp and 269 lb-ft of torque while getting at estimated 21 mpg city and 27 mpg highway. This engine also has a towing capacity of 5,291 lbs! Performance in any road and weather conditions can be assured thanks to the Intelligent Driveline Dynamics. This system provides torque appropriate for specific conditions so you have what you need from each wheel. This unique system is both predictive and reactive so it can predict potential issues and fix issues that are sensed. The optional Configurable Dynamics puts control in the driver’s hands. Choose chassis settings that optimize your drive to what is important to you. Choose settings that offer refinement and comfort or performance. This system adjusts the gearbox mapping, suspension, and throttle configurations. 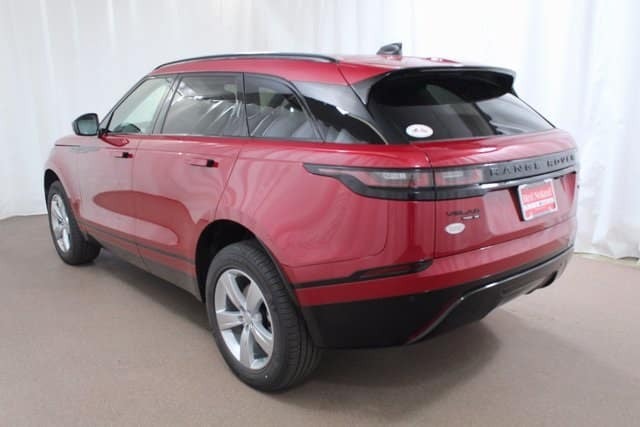 Land Rover Colorado Springs has a super selection of this innovative and capable Range Rover Velar for you to choose from. Stop by today and take a test drive to experience the excellent performance and dynamics you can enjoy everyday when you drive home in the Velar.